A warning you want to take very seriously indeed. 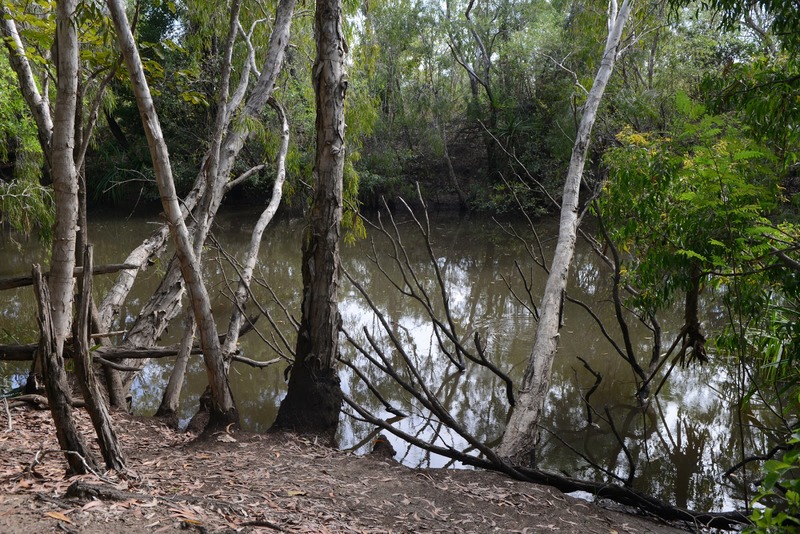 This photo was taken in a popular dog walking spot just out of Darwin. Here at SAT we have a healthy respect for crocodiles. Nope, they're not your typical companion animal, but they're a part of life in Northern Australia. They are magnificent creatures, but they're also designed to eat flesh and they are formidable predators of animals and - if we're in the way - humans. The attacks are devastating, but like any type of animal attack the risks can be blown out of proportion (they may equally be ignored by some). Risk assessment should be based on data, but so often there isn't any available. Australian scientists Drs Adam and Erin Britton, partners with croc consultancy Big Gecko, zoologist and photographer Brandon Sideleau, and Professor Andrew Campbell, Director of the Research School for the Environment and Livelihoods at Charles Darwin University, put their heads together to produce CrocBITE, a worldwide database of crocodilian attacks. So far it contains records of 2100 incidents recorded across 16 species, occuring in 50 countries over the last 150 years. The saltwater crocodile (Crocodylus porosus) leads the charge, with over 500 recorded attacks (although the Nile crocodile is responsibile for a greater number of recorded fatalities). The most recent heartbreaking incident of course is the fatal attack of a young boy and his friend (non-fatally injured) on Australia day. Despite the fact that we have the highest river densities of saltwater crocodiles in the world, we've seen around 100 attacks since 1971 - of which just over one quarter were fatal (when broken down, the average is around 2.3 attacks per year). The number of crocodile attacks has increased in the last decade, but the fatality rate decreased from 57% (1974-83) to 29% (2004-13). This may reflect the fact that there are fewer VERY large crocodiles, and more "moderately sized" (3m or under) involved in attacks - because larger crocs are culled. 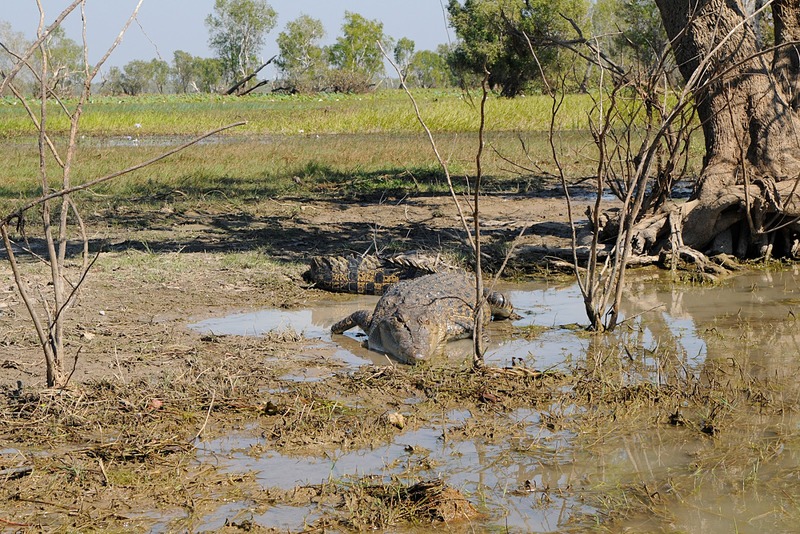 Humans kill 250-300 wild crocodiles around Darwin each year - yet as Britton and Campbell point out, culling doesn't change the fact that it is dangerous to swim in crocodile habitat. Crocs aren't always visible like this one. A friend's property backs onto the Finis River. There is a 3+ metre salty in here. Take my word for it. I wasn't going to encourage it to pose. 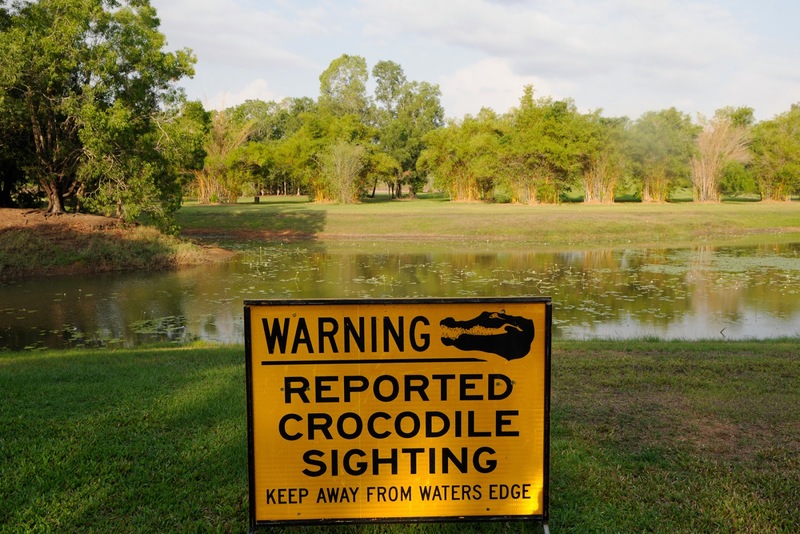 The database provides detailed information on the location of the attack (including a rating of the precision of that location), the age and gender of the victim and their activity (fishing, swimming etc), whether the attack was witnessed, the species of croc involved, the reported size and the outcome. The certainty with which this information is known is rated. CrocBITE is based on the principle of citizen science, meaning that anyone can apply to become a contributor (though all data is of course checked). 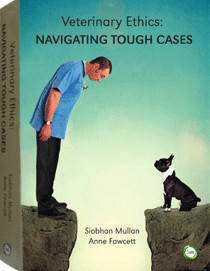 Its great to see a scientific approach to a subject that is often approached with hysteria.